Negative information on your credit report can be a real downer. There you are, trying to improve your credit and actually move on with all of your financial goals and then you get told that you really get do any of that. That’s a low blow, but it really doesn’t have to be that way at all. 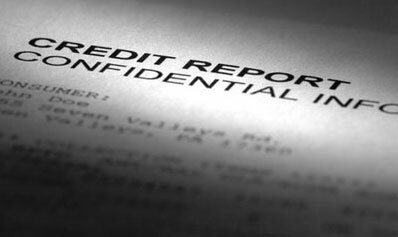 It’s time to realize the underlying reasons why things are showing up on your credit report. First and foremost, the top reason why negative information is on your credit report at all is because it’s a way to get your attention. When you think about it, it makes sense. If you know that you’re not going to pay your debts and you don’t really care about your credit, then it really doesn’t matter. However, since most people dream about getting things with good credit, the concept makes more sense. You’re going to check your credit, see the negative information, and want to change it. Most people feel that paying their debts is also the moral thing to do, so they make sure that they work out plans to do it. The mistake that many make is trying to do everything in the phone. This is a mistake because there’s no way to really prove what was said. The collection agency isn’t going to let you record them. So if you’re going to work with a collection agency, you have to make sure that do it in writing. You never know whether or not you’re going to have to take this collection agency to court. This means that you really need to make sure that you focus on trying to get as much of a paper trail as you can. Negative information can indeed be removed from your credit report, but that’s only after you work out an agreement to that effect with the collection agency. Don’t let them tell you that they don’t it — if they really know that you will not send any money until you get that agreement worked out, they will be more apt to listen. It’s all about negotiating properly. Doing your negotiations in writing is actually better because you won’t have to deal with your nerves if you were talking on the phone. Most seasoned collection agents are skilled at telling you anything they want in order to get that payment out of you — which would affirm the debt as well. Now that you know the real reason why you have negative information on your credit report, you can deal with it. However, we have another problem: which debts do you really need to pay and which ones do you need to skip? That’s coming up next!